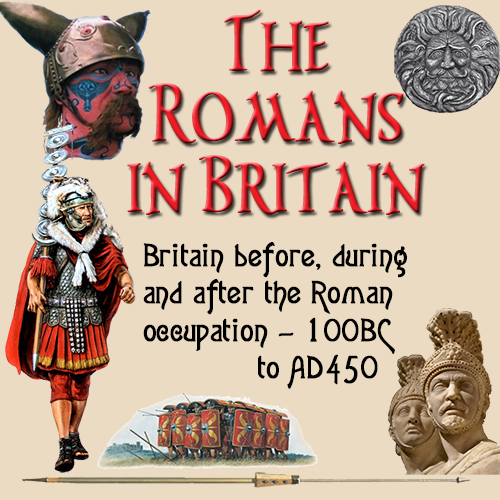 Julius Caesar noted in his writings that this part of Britain was occupied by what he considered to be the most civilised tribe in Britain. Mostly this attributed to the fact that being the furthest south and east, therefore closest to the continent, they were the tribe most influenced by European ways and innovation, due to their extensive trade with Gaul. Durovernum Cantiacorum - (Canterbury, Kent) - Pre-Roman settlement, later Civitas capital served by a port three miles down the Stour at Fordwich. Durobrivae - (Rochester, Kent) - Pre-Roman native settlement on the Medway. One of only two walled towns in Cantium territory. The other being Canterbury. Hastings (Sussex) - This iron port had overland connections with Kent rather than Sussex. Loose - (near to Maidstone, Kent) - Pre-Roman native settlement on the upper Medway. Maidstone (Kent) - A Roman settlement of some kind is suspected. Rutupiae - (Richborough, Kent) - The main port of entrance to Britain. Titsey (Kent) - Rural temple may mark the western border of the Canton. Dubnovellaunus Perhaps one of several kings of the Cantium in the latter half of the first century BC. He could well have been the second British king mentioned in the Augustan record, but it is not likely. Cunobelin The coins of Cunobelin of the Catuvellauni appeared throughout Cantium territory during the early part of the first century AD. It is widely beleived that the Catuvellauni became extremely powerful sometime between the second expedition of Caesar and the Roman invasion. There is much evidence to suggest that the Cantium tribe were overrun by the Catuvellauni, as were the Atrebates and the Trinovantes.